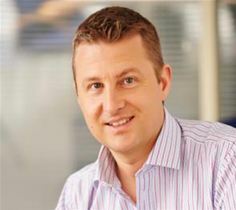 Oracle Platinum Partner Certus Solutions [www.certus-solutions.com] has appointed Richard Summerfield as a Non-Executive Director. Richard is currently the Group HR Director at global telecoms provider JT [Jersey Telecom], an Oracle HCM customer of Certus-Solutions since 2015. JT is also currently using Certus-Solutions’ ‘engage® Business Support Services’. Richard has over 20 years of corporate HR leadership experience, the last six as a member of JT’s management board. Previously, he has worked at Ogier, Standard Bank, Zurich and Barclays. He was also a guest speaker at Oracle Openworld 2015 where he gave a customer view of the implementation of cloud HR products through Certus-Solutions. In his Non-Executive capacity, he will be ensuring that the company’s strategic business plans are robust, giving independent advice on senior recruitment and remuneration, and providing the personal ‘insight’ of an HR Cloud implementation customer. Commenting on his appointment, Tim Warner, Chairman (designate) and Chief Operating Officer of Certus Solutions says, “Richard brings with him both huge professional experience along with the unique insight of an Oracle HCM Cloud user. We like to think that the relationship we have built with him and his HR team over the last 18 months, and the quality of the Oracle HCM implementation, were key factors in him taking this new role. Building on Tim’s words, Richard commented, “Certus-Solutions has grown rapidly through its ability to deliver leading edge Cloud solutions to major public and private sector clients alike, myself included. To protect and nurture future growth, there is a requirement for greater investment in governance, best practice, and independent oversight. I am delighted to join the Board at such an exciting time to help Certus realise its big ambitions to be a disruptor in the Oracle Cloud technology sector on a global basis”.